American Airlines will put in an additional daily flight between Flint and Chicago's O'Hare International Airport starting in April. The airline declared the added service in a news release today. 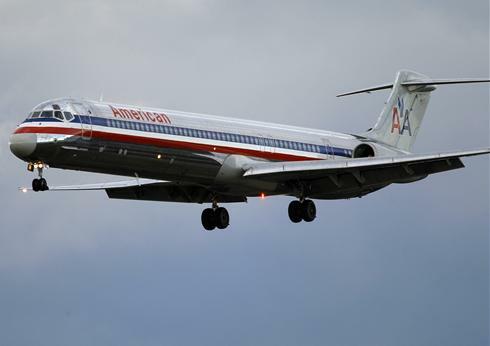 AmericanConnection, the regional affiliate of American Airlines, will present the bulked-up service with 44-seat Embraer jets at Bishop Airport. American flights have accounted for about 8 percent of traffic at Bishop so far current year. "We're delighted to enhance our service...," Gary Foss, vice president of planning and marketing for American's regional network, said in the news release. "At present with four daily nonstop flights, customers from the TriCities region will have even more travel options from which to prefer, as well as more suitable connections in Chicago ..."
The additional flight is scheduled to start on April 5 with a 12:35 p.m. Chicago departure that arrives in Flint at 2:30 p.m. The latest departure from Flint is at 3 p.m. daily, a flight that arrives in Chicago at 3:10 p.m.